"SwordfishAA" wins big at a table with Sam Trickett, Leon Tsoukernik, Viktor Blom and Fedor Holz. During the week, Viktor "Isildur1" Blom, Sam "SamTrickett" Trickett, Fedor "Feder_Holz" Holz, Leon "KingsOfLeon" Tsoukernik, and others were battling it out on partypoker in what Joey Ingram described as "the craziest $100/$200 pot-limit Omaha session that I have ever seen in my entire life." Early on, Blom won a big hand at the expense of "swordfishAA" and Tsoukernik. The action began with Touskernik raising from the hijack to $700 with and Blom three-betting from the button to $2,400 with . After "swordfishAA" called from the small blind with , Touskernik jacked it up to $9,800. Blom called before "swordfishAA" five-bet jammed for $20,295. Tsoukernik six-bet jammed to $69,233 and Blom, who had both players covered, called. All three players were close to even in hand equity. 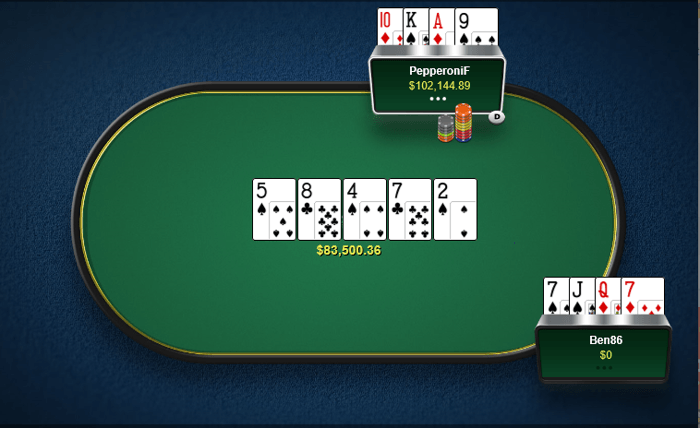 However, Blom was able to scoop up a massive pot worth $158,955 after the board ran out to give him a straight. Trickett then won a big pot from the King's Casino owner Tsoukernik. The hand kicked off with "swordfishAA' opening to $700 from the cutoff with and Trickett calling behind from the button with . Touskernik three-bet to $3,000 from the small blind with and both players called. Tsoukernik led out for $9,195 on the flop and got a call from "swordfishAA" who was all-in with just a stack of $1,840 and from Trickett. Tsoukernik fired out for $29,425 after the appeared on the turn. Trickett jammed all-in for $67,390 and got a call from Tsoukernik. Trickett shipped a massive side pot worth $149,490 after the appeared on the river with bottom two pair against Tsoukernik's top pair. Meanwhile, "swordfishAA" tripled up after taking down the main pot worth $14,710 with a better two pair than Trickett. Despite struggling early, "swordfishAA" was able to build up his stack to become the third player with a six-figure chip count. 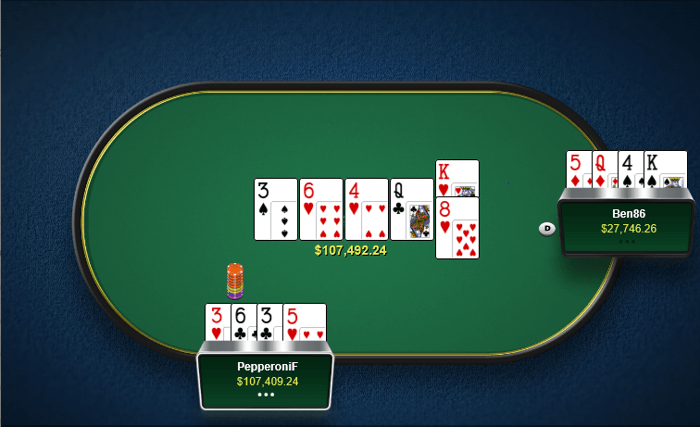 Trickett, however, became the first player to surpass $200,000 after the following hand took place. "Molodov" limped from under the gun for $200 before Trickett raised to $900 from the hijack with . Tsoukernik three-bet to $3,200 from the cutoff with and both "Molodov" and Trickett called. The action checked around to Tsoukernik after the flop came and he led out for $9,895. "Molodov" folded before Trickett raised to $39,580. Tsoukernik then jammed for $61,201 and Trickett called. Trickett scooped up a pot worth $132,298 after the on the turn and the on the river completed the board to give him a straight. His stack soared to a table high of $249,430. Trickett wasn't able to hold onto all of this as he doubled up Holz in a pot of almost $80,000. However, Holz despite winning a few other pots was unable to hold onto his stack with "swordfishAA" claiming the lion's share in the last big hand of the night as follows. Holz opened to $700 from under the gun with before "swordfishAA" three-bet to $2,400 from the cutoff with . Holz called and the flop came , giving Holz the nut straight and three pair for "swordfishAA". Holz then check-raised a bet of $2,548 to $12,738 and his opponent called. The paired the board on the turn and Holz led out for $29,950. His opponent bet enough to put Holz's remaining stack of $62,693 at risk and he called. Holz was drawing dead to his opponent's full house and "swordfishAA" witnessed his stack soar to $230,577. You can watch the highlights of the match brought to you by Joey Ingram below. The action was hot and heavy last week. The three biggest pots took place in a heads-up session over the weekend between Rui "PepperoniF" Cao and Ben "Ben86" Tollerene battling it out at $100/$200 pot-limit Omaha. The action in the biggest pot of the week began with Tollerene raising the button to $680 before Cao three-bet to $2,120 from the big blind. Tollerene jacked up the preflop action with a four-bet to $6,440 and Cao called. Cao led out for $12,957 on the flop and Tollerene called. After the appeared on the turn, Cao jammed his remaining stack of $34,269 and Tollerene, who had him covered, called. Cao was an overwhelming favorite to win the hand with a set and a straight-flush draw. Tollerene had a draw to a full house to win the pot and for a straight to chop the pot. The duo ran it twice. The on the first board and the on the second board awarded Cao a flush on both runouts and he collected a massive six-figure pot of $107,412. A few hours before the biggest hand of the week, Cao also took down the second biggest. Cao opened to $640 from the button. Tollerene three-bet to $2,120 from the big blind before he called a four-bet from Cao to $6,440. Both players checked the flop. Tollerene then fired out for $4,276 after the appeared on the turn and got a call from his opponent. Tollerene bet $7,098 after the completed the board on the river. Cao raised enough to cover the $23,857 Tollerene had remaining and got a call. Cao with won a big pot of $83,420 with a better flush than Tollerene's flush with . The third biggest pot of the week took place after the two biggest. This time the tables were turned and Tollerene got the best of his opponent. Cao opened the button to $640 before he called a three-bet from Tollerene from the big blind to $2,120. 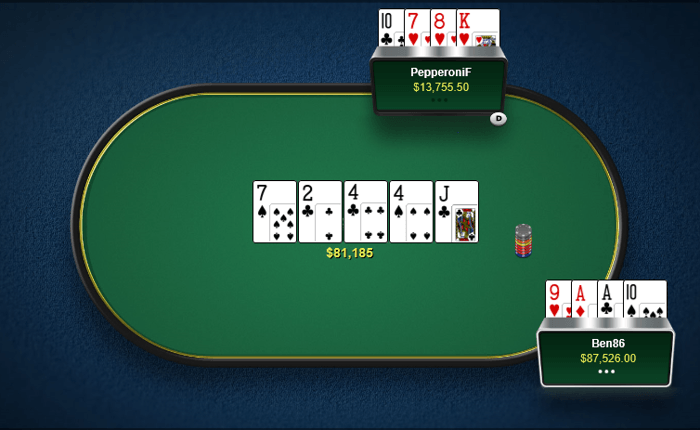 Tollerene fired out a continuation bet of $2,159 after the flop came . After the paired the board on the turn, Tollerene unleashed a second barrel, this time for $2,849. Cao raised to $9,200 and Tollerene called. Tollerene with then check-called a huge bet of $27,034 from Cao who held and won a $81,105 pot after he picked off his opponent's bluff. Both "EEE27" and "€uroTr@sh1" notched huge six-figure profits last week. However, the bigger story is "ImagineKing" booking a deficit of $402,190, the biggest we have seen in quite some time. There was a bit of a shake-up in both the top and bottom three of the 2018 leaderboard. Linus "LLinusLLove" Loeliger maintained a substantial lead as the biggest winner of the year with $720,037 in profit despite losing a little bit of money last week. Meanwhile, after "EEE27" booked the most profit out of any player this week, he was able to catapult himself into second place with $380,091. James "JayP-AA" Park slipped into third place without playing a hand and remained with $316,630 in profit on the year. On the flip side, "ImagineKing" became the first player of the year to have a seven-figure loss on the year. 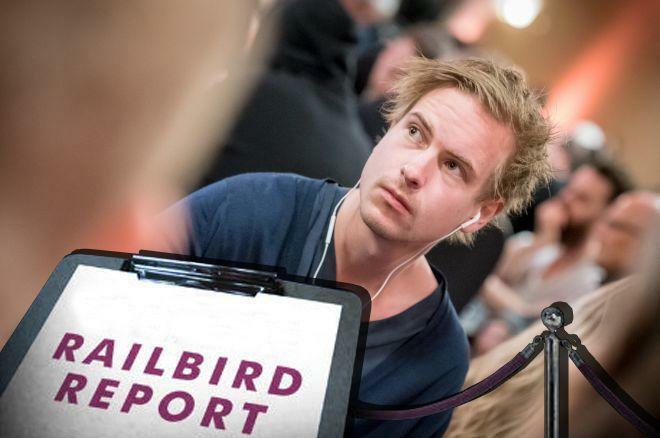 Viktor "Isildur1" Blom, who didn't play last week, remained in the second to last spot on the leaderboard. Jonas "OtB_RedBaron" Mols booked a profit last week and was able to slip past Elior "Crazy Elior" Sion who is now in the third to last spot without playing a hand in recent weeks.